A one of a kind unit at Southpointe! If you are looking for unique and love Koa wood, unit #26-101 might be for you. The kitchen expands the length of the wall with custom Koa cabinets, custom counter tops and bar top. The unit feels larger than 650sqft with floor to ceiling mirrors in the living room. The bathroom has been remodeled and has custom Koa cabinets above the large washer and dryer. The bedrooms are a nice size and has lots of light. The units shows well and is ready for a new owner. Vacant and easy to show. Parking stall #529 & 530. *art work not included in the sale. 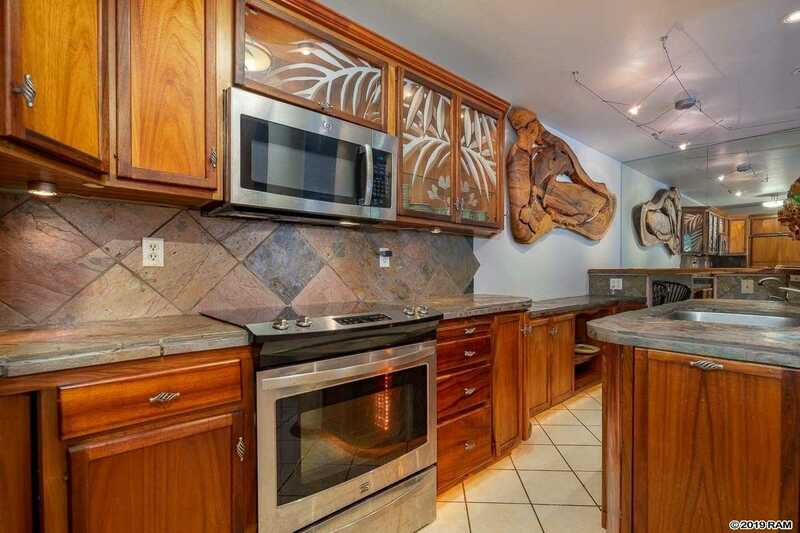 Please, send me more information on this property: MLS# 382201 – $340,000 – 480 Kenolio Rd Unit 26-101, Kihei, HI 96753.